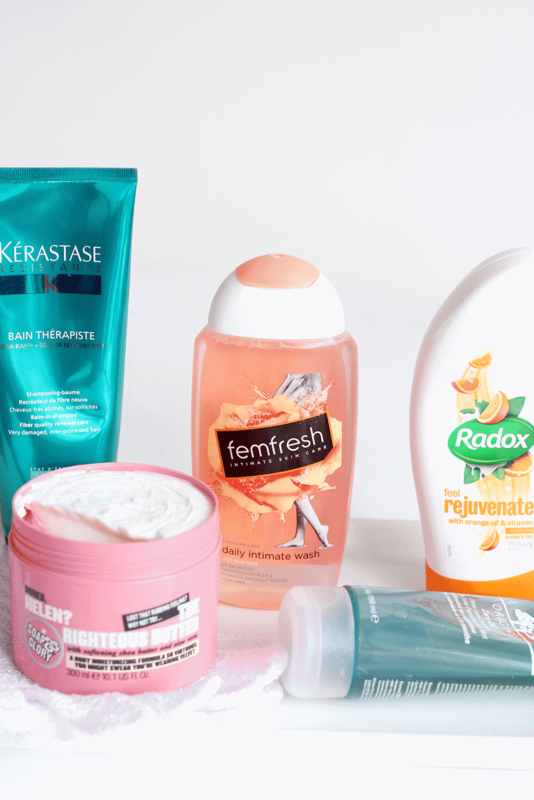 I always start with my hair first and I’ve been obsessed with the Kerastase Resistance Bain Therapiste Shampoo, which has a balm built in so it’s nourishing without being heavy. I also have the conditioner, which you use before you shampoo and the serum for added strength. My hairdresser recommended the range to me, as he said my hair was quite weak and it’s been working wonders for me ever since! Bonus is that my hair smells like a salon afterwards too *swishes*. After shampooing, I wash my face with the Origins Zero Oil Deep Pore Cleanser. I do try and cleanse my face outside of the shower, but 9/10 I’m in a rush and need to get in and out as quick as possible, so a lightly foaming (but not stripping) cleanser works wonders for me. I’ve only got about a fifth of this cleanser left, as I really do love using it! Onto washing and I tend to use those scrubby gloves to lightly exfoliate, especially in Summer when it’s warmer outside and you feel a bit more gross. I use two body washes whenever I shower, the first of which being the Radox Rejuvenating Shower Gel which I actually picked up for my boyfriend but have since adopted it as it smells like an orange ice lolly. Seriously. Fruity heaven. 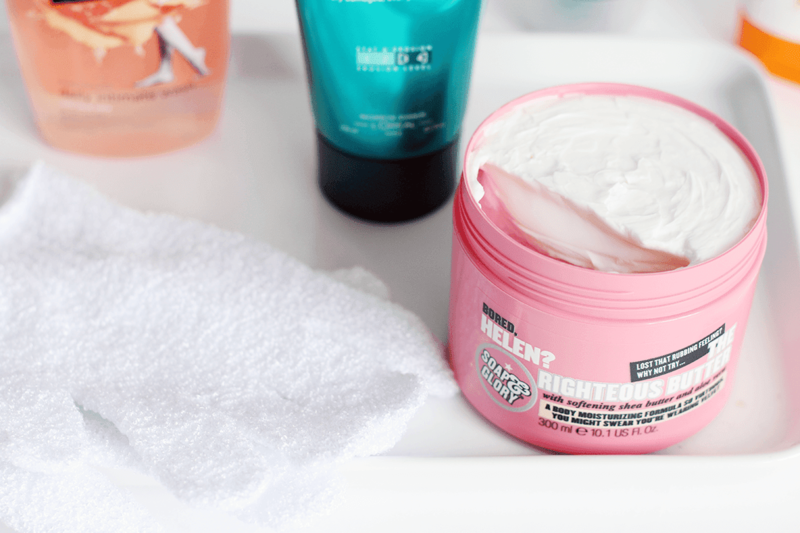 Finally, once I’m all super fresh and clean, I slather on the nearest body cream which just so happens to be a personalised Soap and Glory The Righteous Butter. I do love my name on packaging, thanks S&G! Anyway, this stuff is rich and quite thick in texture, but, when you apply it before bed, it sinks in like a dream and your skin feels amazing until your next shower. I’ll be smothering myself in this all Winter, I think! Please check out my blog sale! Everything has to go super soon!